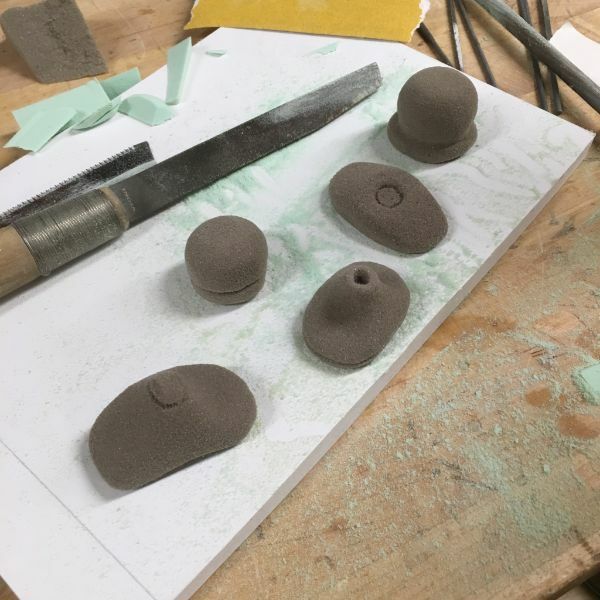 Hannah Rudin, a second year in MFA Products of Design is working on creating tools for politicians to feel more empathy while discussing issues in Congress. The artifact is a pulse monitor that will have an LED flash in time with your pulse. Its designed to do this because research has shown that when people are aware of their own pulse, their emotional intelligence increases. She is using foam and shaping it using the bandsaw and sanding blocks to explore different forms.